“You’re Not Afraid Of The Dark, Are You?” Watch the full-length movie trailer for the sci-fi thriller Riddick, the third installment of The Chronicles of Riddick franchise, starring Vin Diesel, Katee Sackhoff, Jordi Molla, Dave Bautista, Matt Nable, Bokeem Woodbine, Keri Hilson and Karl Urban. Check out the new trailer and poster below. In the latest chapter of writer/director David Twohy’s science fiction saga that began with Pitch Black (2000) and The Chronicles of Riddick (2004), wanted criminal Riddick (Diesel) finds himself fighting for survival against intergalactic bounty hunters and deadly alien predators on a sun-scorched planet. 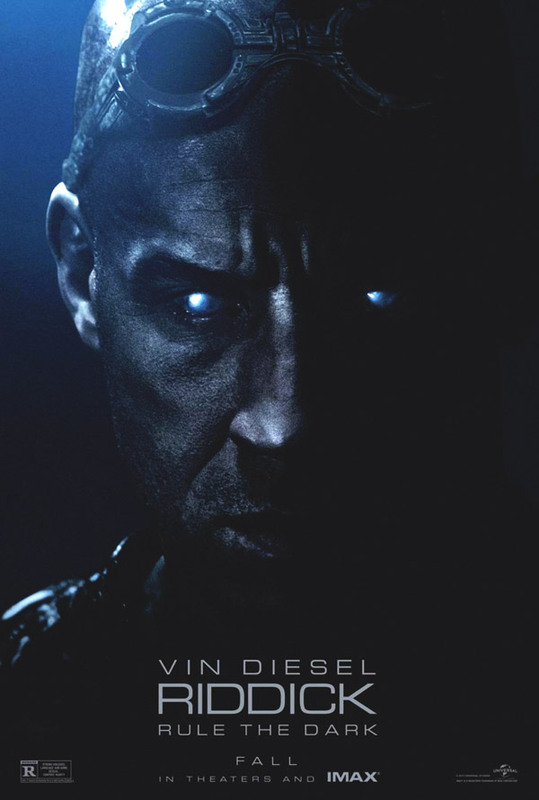 Riddick is due in theaters and IMAX on September 6, 2013.